A new Fort Air Partnership (FAP) continuous air monitoring station in the Town of Redwater is now operational. Located in the heart of Redwater at 4704-49 Avenue, just south of the Town’s administration building, the station is now collecting and reporting data on six substances plus several weather conditions. It will also provide a daily and forecast Air Quality Health Index rating. All this information is available to the public on FAP’s website. “Having an air monitoring station in Redwater is important because it enables us to better understand the quality of the air locally and on a regional basis, especially where people live,” said Nadine Blaney, FAP’s Executive Director. She noted FAP worked closely with town officials and contractors to ensure the smooth set-up and operation of the station. The station is collecting ambient air data on sulphur dioxide, nitric oxide, nitrogen dioxide, oxides of nitrogen, ammonia, particulate matter and weather information. Data is available to the public in near real time via FAP’s on-line live data feed. 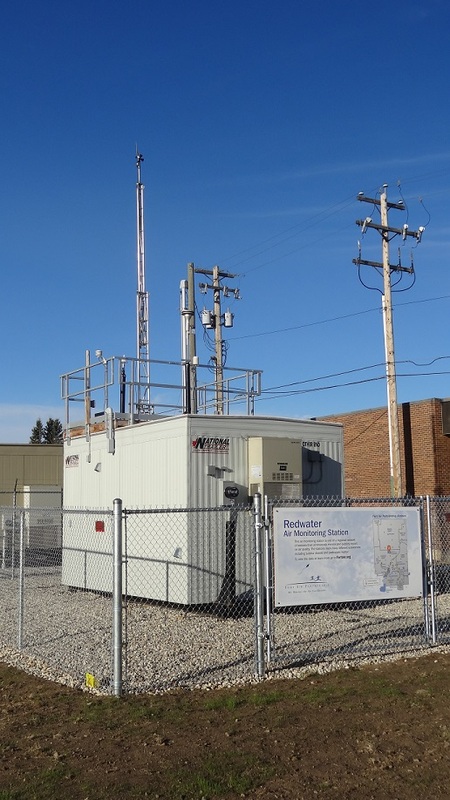 The Redwater station is one of nine continuous air monitoring stations in Fort Air Partnership’s air monitoring network. With the start-up of the Town of Redwater station, an air monitoring station adjacent to Agrium’s Redwater fertilizer plant is no longer part of FAP’s network. Fort Air Partnership monitors the air local residents breathe in and around Alberta’s Industrial Heartland. The collection and reporting on substances that affect air quality is transparent, guided by an expert scientific advisory group, and driven by national and provincial standards.